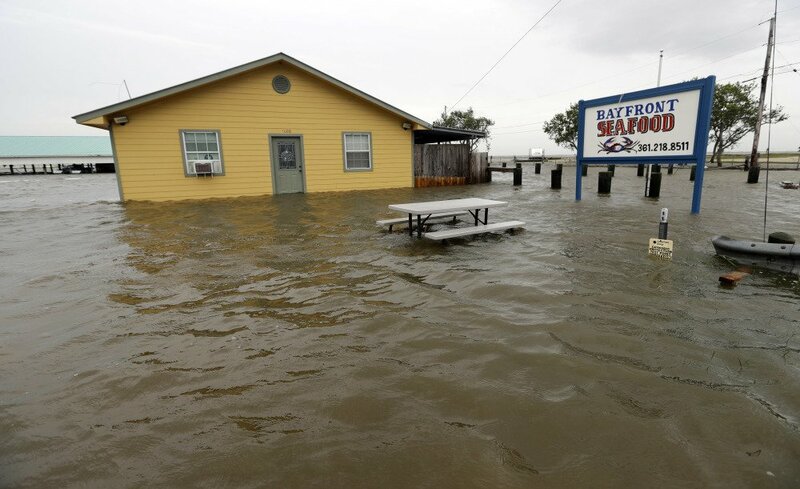 The Bayfront Seafood restaurant is surrounded by floodwaters. A truck is flipped over after Hurricane Harvey landed in the Coast Bend area on Saturday. 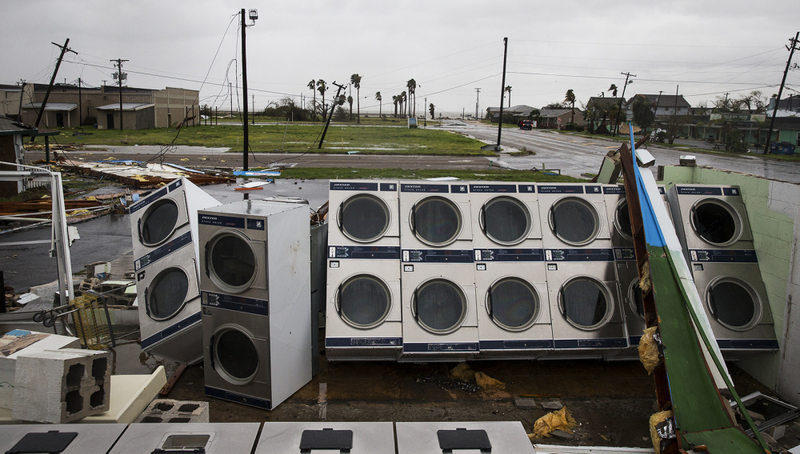 A laundromat's machines sit exposed in the elements after Hurricane Harvey ripped through Rockport, Texas, on Saturday. 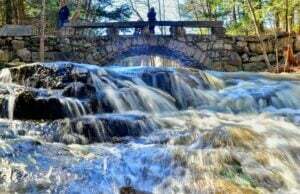 The fiercest hurricane to hit the U.S. in more than a decade spun across hundreds of miles of coastline where communities had prepared for life-threatening storm surges — walls of water rushing inland. 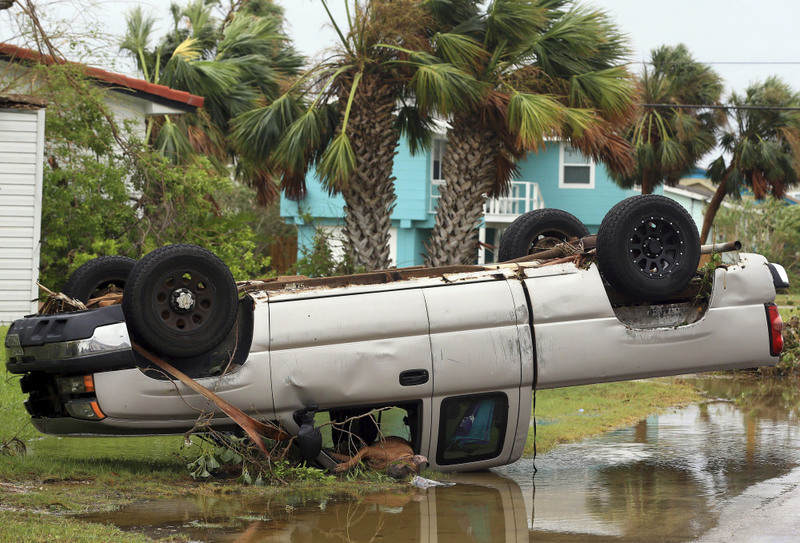 A vehicle sits in standing water after Hurricane Harvey ripped through Rockport, Texas, on Saturday, Aug. 26, 2017. 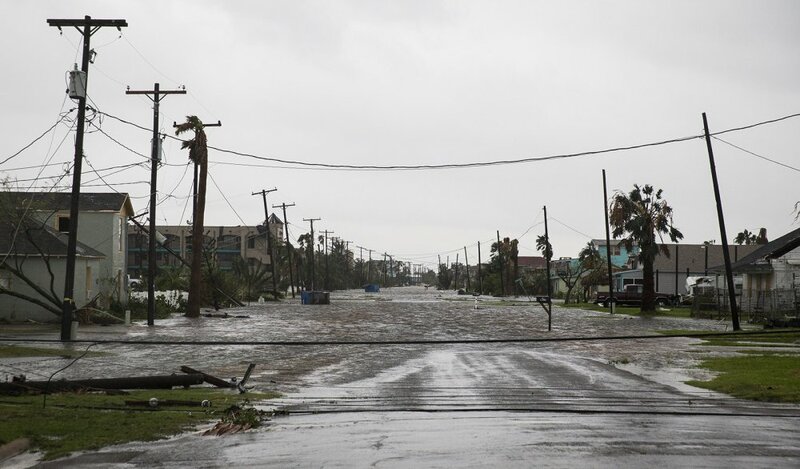 The fiercest hurricane to hit the U.S. in more than a decade spun across hundreds of miles of coastline where communities had prepared for life-threatening storm surges, walls of water rushing inland. A road remains flooded after Hurricane Harvey ripped through Rockport, Texas, onSaturday, Aug. 26, 2017. 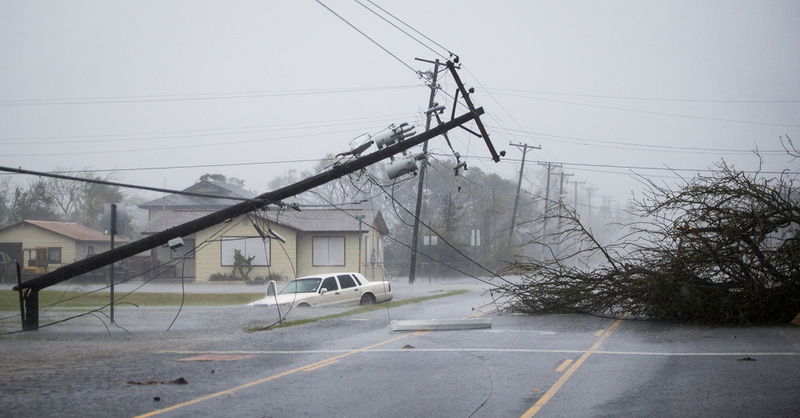 The fiercest hurricane to hit the U.S. in more than a decade spun across hundreds of miles of coastline where communities had prepared for life-threatening storm surges, walls of water rushing inland. 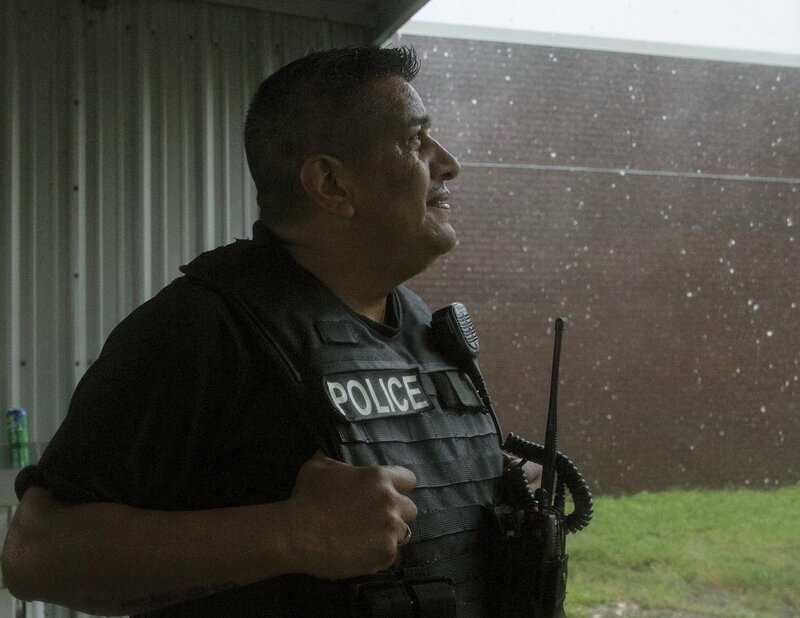 Lt. Javier Ramos, of the Port Lavaca Police Department, looks up at the rain while other officers eat barbecue chicken on Friday, Aug. 25, 2017. 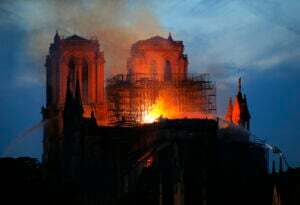 The officers were unable to respond to emergencies after winds reached 40 mph. 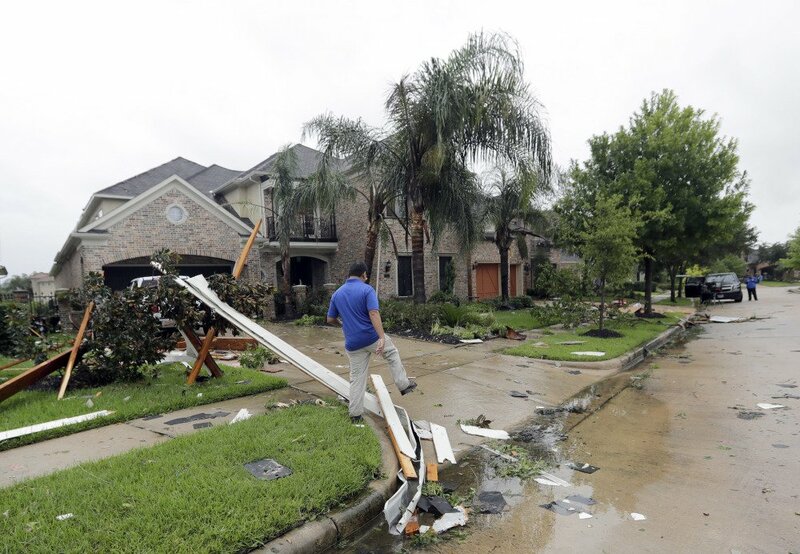 Hurricane Harvey smashed into Texas late Friday, lashing a wide swath of the Gulf Coast with strong winds and torrential rain from the fiercest hurricane to hit the U.S. in more than a decade. 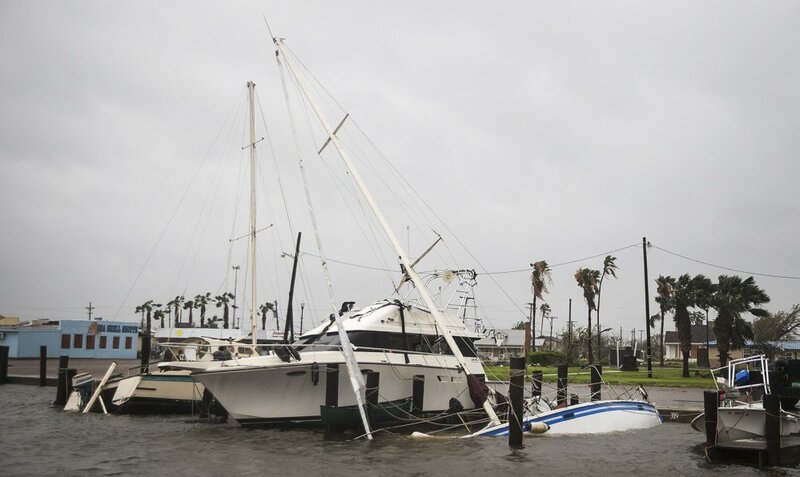 A boat sits capsized in the Rockport marina after Hurricane Harvey ripped through Rockport, Texas, on Saturday, Aug. 26, 2017. The fiercest hurricane to hit the U.S. in more than a decade spun across hundreds of miles of coastline where communities had prepared for life-threatening storm surges, walls of water rushing inland. 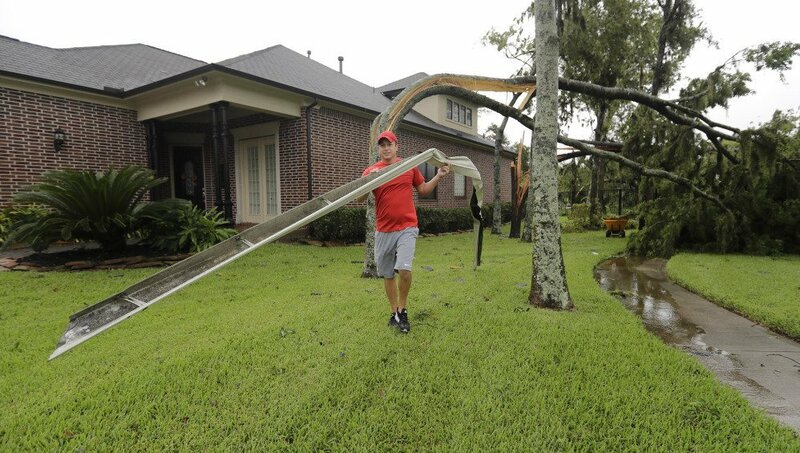 A resident, who wished not to be identified, carries a torn gutter while cleaning up after Hurricane Harvey Saturday, Aug. 26, 2017, in Missouri City, Texas. 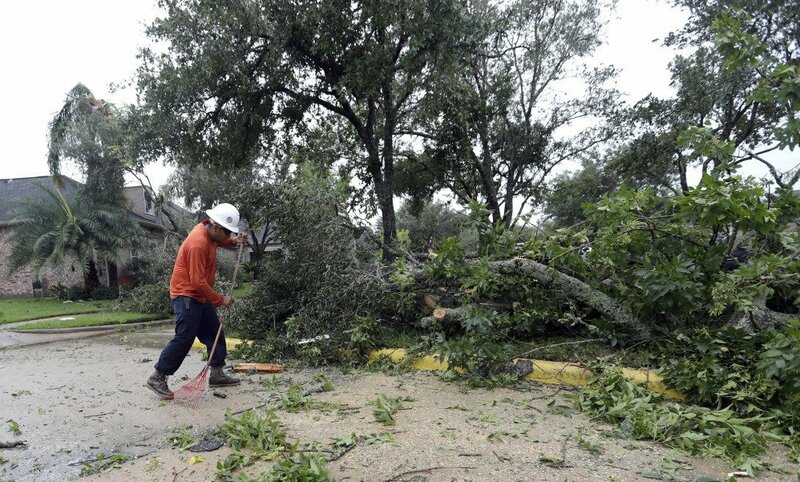 Harvey rolled over the Texas Gulf Coast on Saturday, smashing homes and businesses and lashing the shore with wind and rain so intense that drivers were forced off the road because they could not see in front of them. 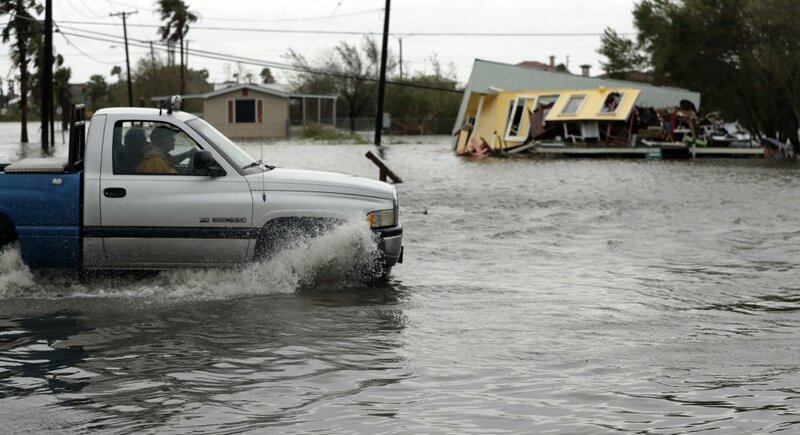 A truck in flood waters passes a home damaged in the wake of Hurricane Harvey, Saturday, Aug. 26, 2017, in Aransas Pass, Texas. Harvey rolled over the Texas Gulf Coast on Saturday, smashing homes and businesses and lashing the shore with wind and heavy rain. 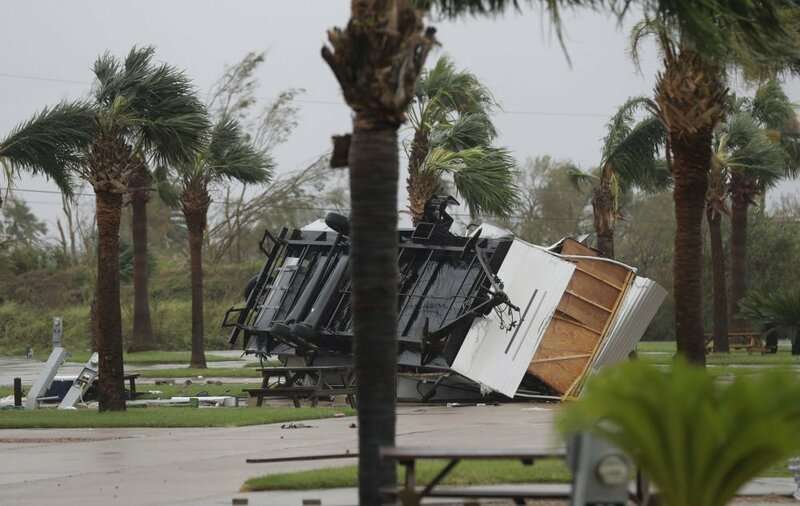 An overturned trailer sits in a park in the wake of Hurricane Harvey, Saturday, Aug. 26, 2017, in Aransas Pass, Texas. 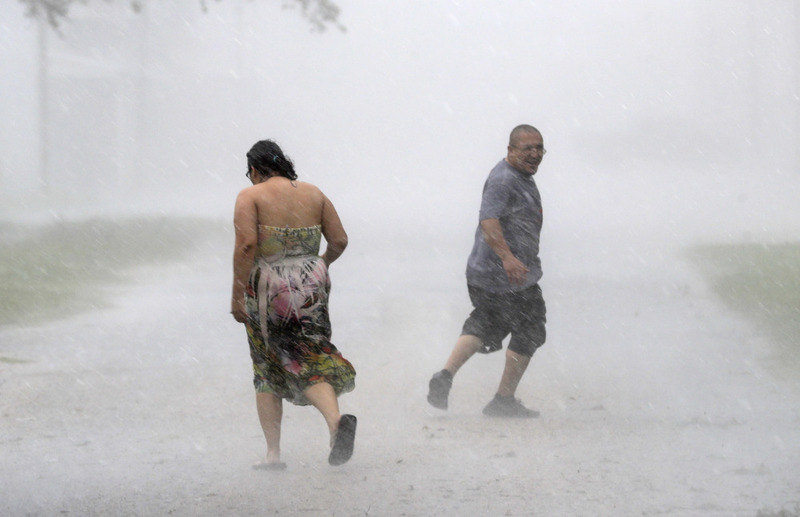 Harvey rolled over the Texas Gulf Coast on Saturday, smashing homes and businesses and lashing the shore with wind and rain so intense that drivers were forced off the road because they could not see in front of them. A drives moves through flood waters left behind by Hurricane Harvey, Saturday, Aug. 26, 2017, in Aransas Pass, Texas. Harvey rolled over the Texas Gulf Coast on Saturday, smashing homes and businesses and lashing the shore with wind and heavy rain. 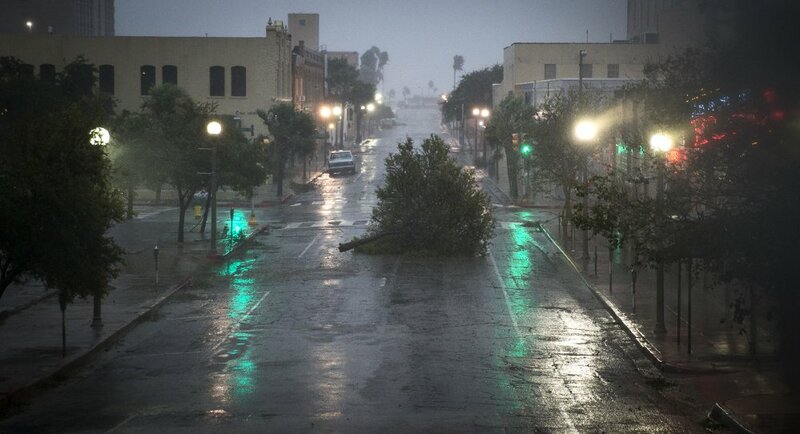 A tree blocks a street as Hurricane Harvey makes landfall in Corpus Christi, Texas, on Friday, Aug. 25, 2017. 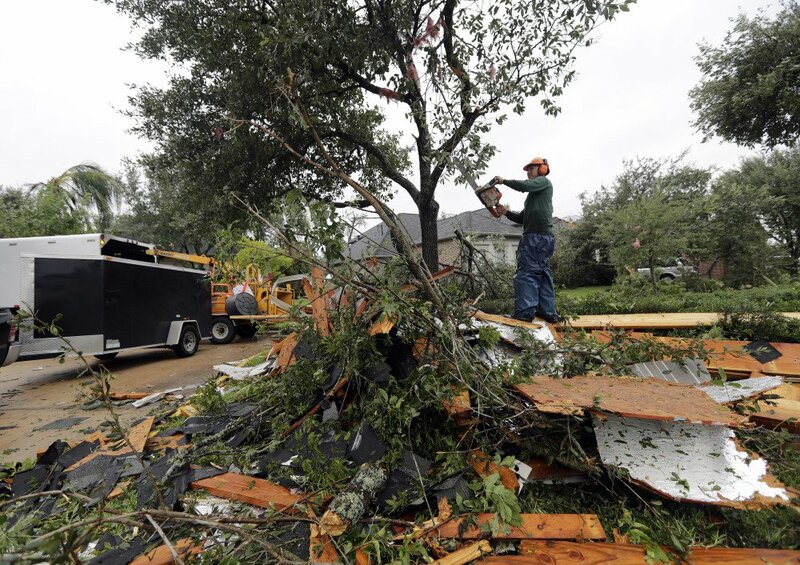 Hurricane Harvey smashed into Texas late Friday, lashing a wide swath of the Gulf Coast with strong winds and torrential rain from the fiercest hurricane to hit the U.S. in more than a decade. 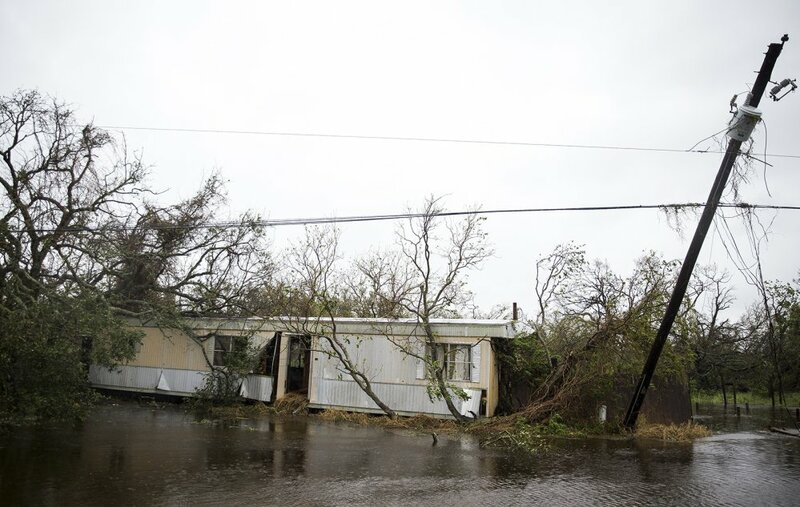 A trailer home sits lodged in trees after Hurricane Harvey ripped through Rockport, Texas, on Saturday, Aug. 26, 2017. 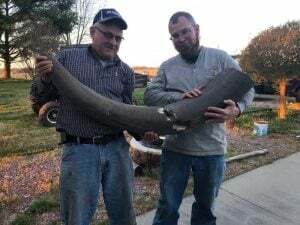 The fiercest hurricane to hit the U.S. in more than a decade spun across hundreds of miles of coastline where communities had prepared for life-threatening storm surges, walls of water rushing inland. 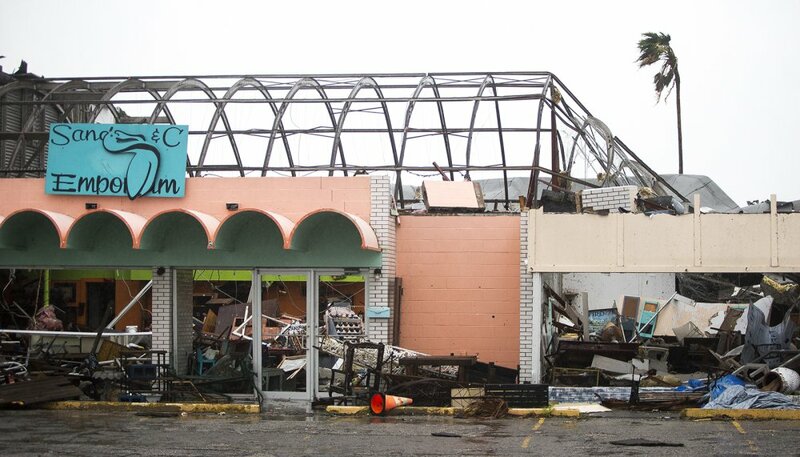 Stores remain destroyed after Hurricane Harvey ripped through Rockport, Texas, on Saturday, Aug. 26, 2017. 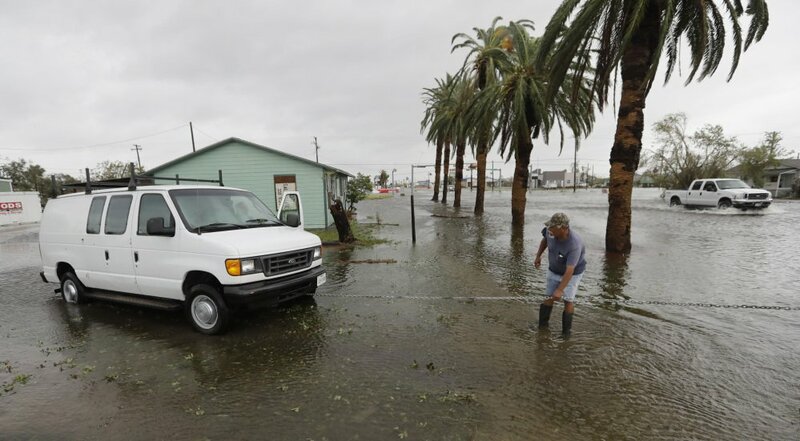 The fiercest hurricane to hit the U.S. in more than a decade spun across hundreds of miles of coastline where communities had prepared for life-threatening storm surges, walls of water rushing inland.